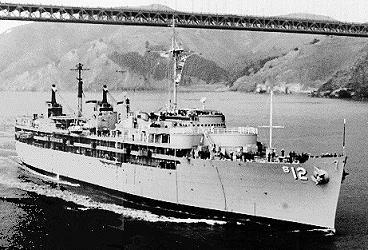 USS SPERRY was the second FULTON - class submarine tender and the first ship in the Navy named after Elmer Ambrose Sperry. 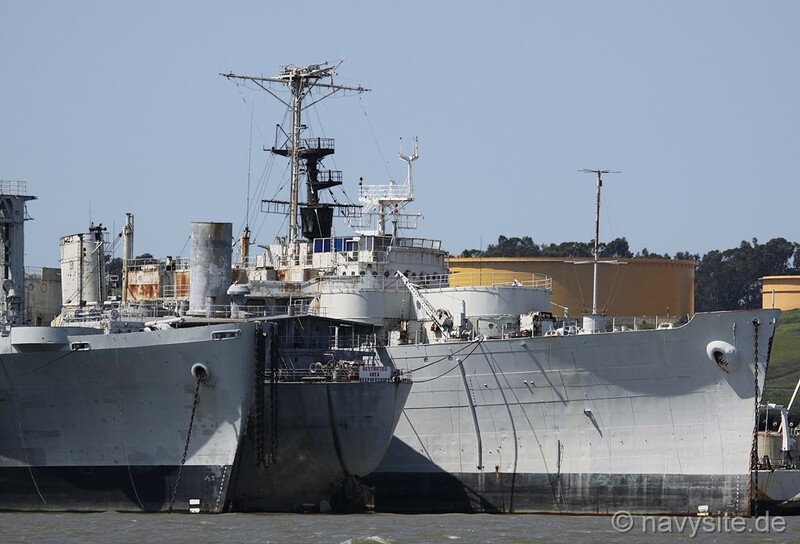 Both decommissioned and stricken from the Navy list on September 30, 1982, the SPERRY spent the following years laid up in the National Defense Reserve Fleet at Suisun Bay, Benicia, Calif. 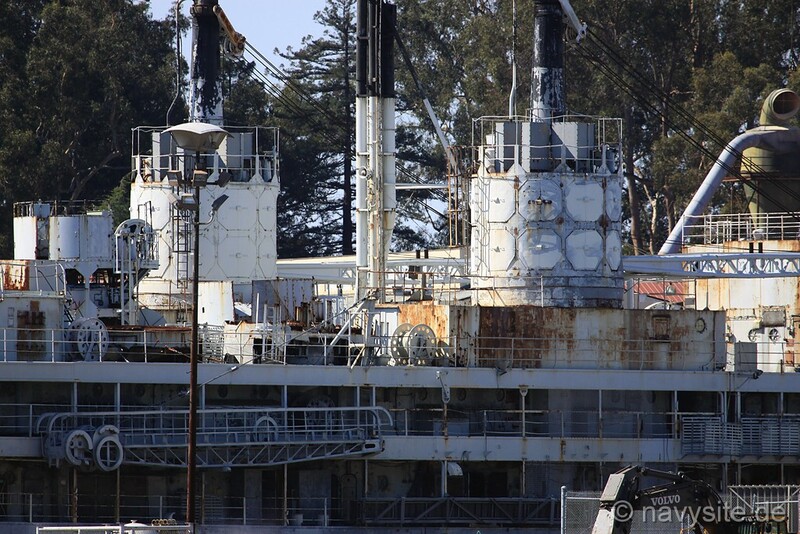 In late September 2011, SPERRY was finally towed to the former Mare Island Naval Shipyard, Vallejo, Calif., to be scrapped. This section contains the names of sailors who served aboard USS SPERRY. It is no official listing but contains the names of sailors who submitted their information. 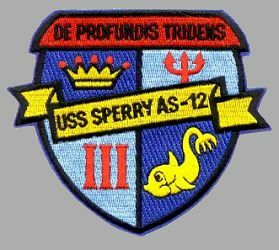 Click here to see which USS SPERRY memorabilia are currently for sale on ebay. Elmer Ambrose Sperry was born on 12 October 1860 at Cortland, N.Y. After spending three years at the state normal school there, he became interested in dynamo electricity during a year of study at Cornell University in 1878 and 1879. He moved to Chicago, Ill., early in 1880 and, soon thereafter, founded the Sperry Electric Co. He organized the Sperry Electric Mining Machine Co. and the Sperry Electric Railway Co. in 1888 and 1890, respectively. In 1900, Sperry established an electrochemical laboratory at Washington, D.C., where he and his associate, C. P. Townshend, developed a process for making pure caustic soda from salt and discovered a process for recovering tin from scrap metal. Sperry experimented with diesel engines and gyroscopic compasses and stabilizers for ships and aircraft. In 1910, he started the Sperry Gyroscope Co. in Brooklyn, N.Y.; and his first compass was tested that same year in DELAWARE (BB 28). 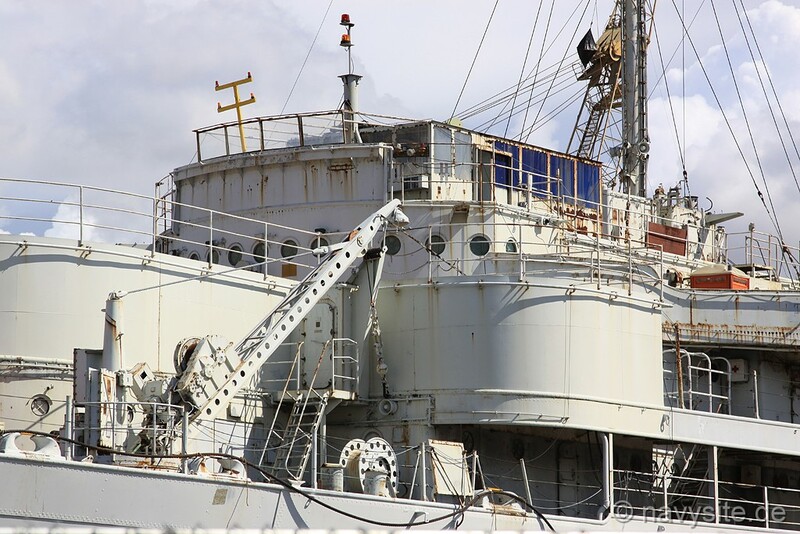 His compasses and stabilizers were adopted by the United States Navy and used in both world wars. In 1918, he produced a high-intensity arc lamp which was used by both the Army and Navy. After setting up eight companies and receiving over 400 patents, Sperry died at Brooklyn, N.Y., on 12 June 1930. 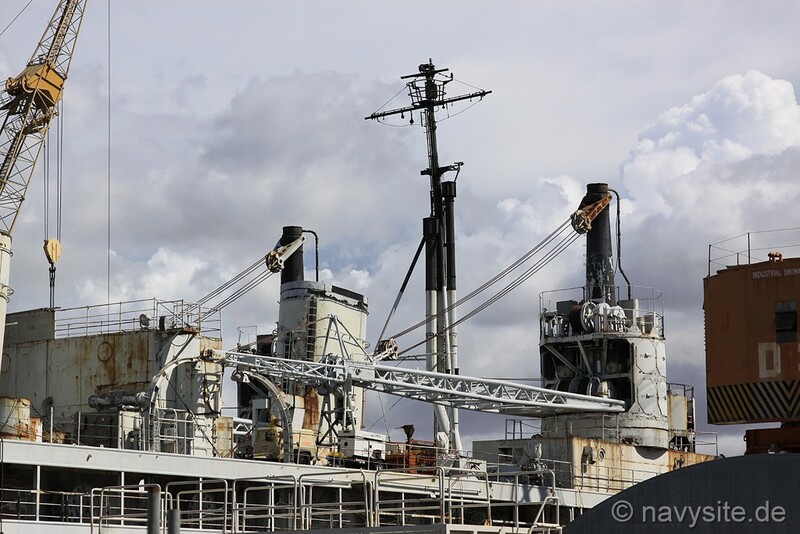 USS SPERRY was laid down on 1 February 1941 at the Mare Island Navy Yard, Vallejo, Calif.; launched on 17 December 1941, just 10 days after the Japanese attack on Pearl Harbor; sponsored by Mrs. Helen Sperry Lea, daughter of Elmer Ambrose Sperry; and commissioned on 1 May 1942, Capt. Robert H. Smith in command. SPERRY completed trials and shakedown training; and, on 2 August 1942, she reported for duty to the Commander, Submarines, Pacific, at Pearl Harbor. She remained at Oahu for almost three months, refitting seven submarines and making voyage repairs to four others. On 26 October, she weighed anchor and headed for Australia. 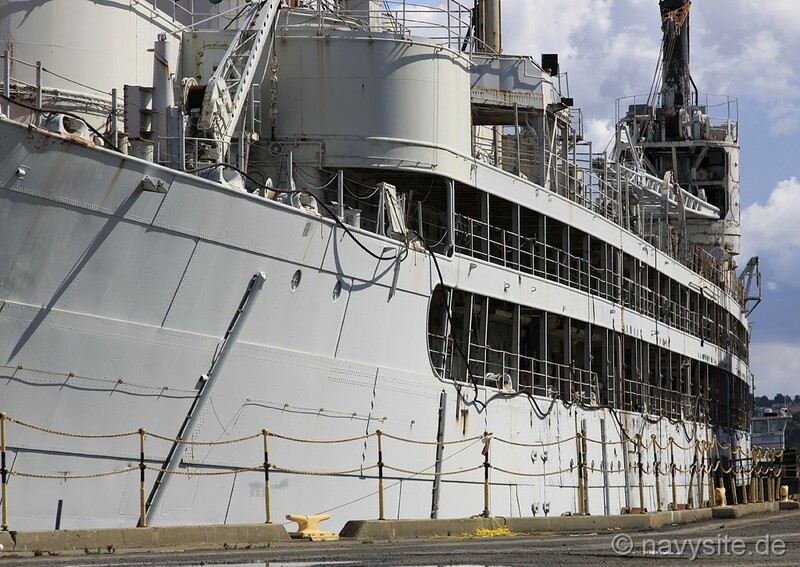 After cautiously skirting the Solomon Islands and making a three-day stopover at Noumea, New Caledonia, the submarine tender reached Brisbane on 13 November. During her two-month stay �down under,� SPERRY refitted seven submarines and made a voyage repair on one. On 17 January 1943, she sailed for Pearl Harbor, where she arrived on the 31st. 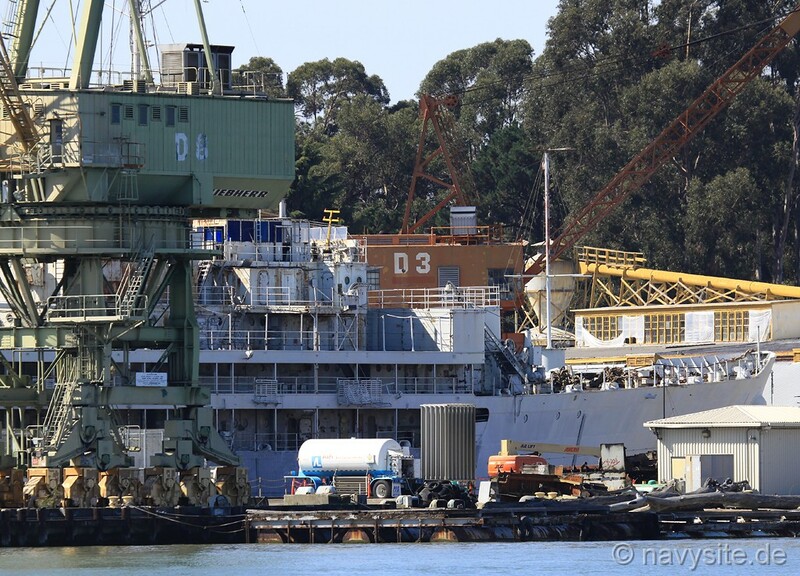 After 10 refits, 10 voyage repairs, and over four months at Pearl Harbor, SPERRY got underway on 8 June. 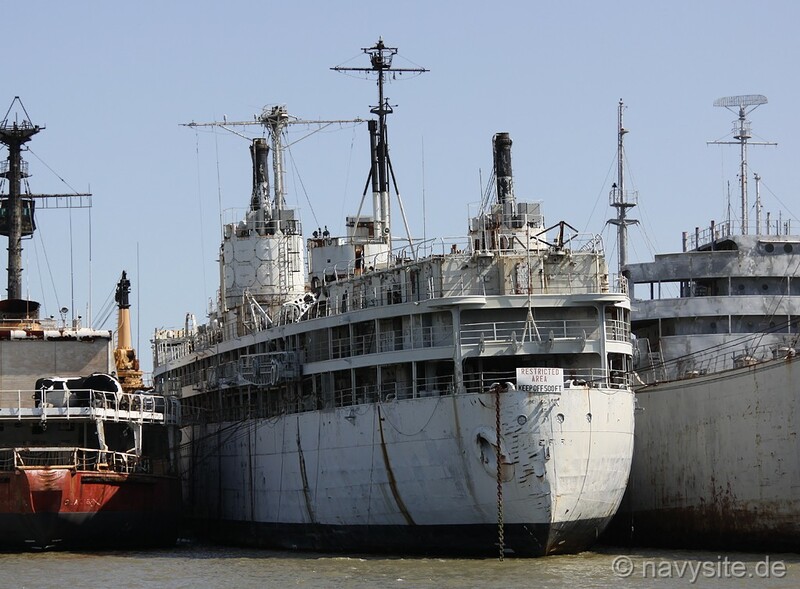 Steaming in company with KERN (AOG 2) and Coast Guard cutter TANEY, she reached Midway Island on 12 June. Her stay there was probably the busiest period in her career. During five months, she serviced 70 submarines, refitting 17 and making voyage repairs to 53. 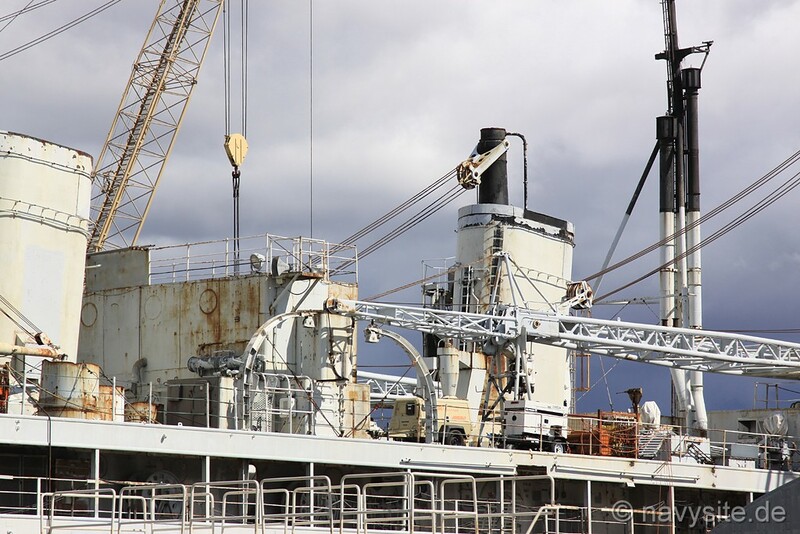 In mid-November, she joined FLORIKAN (ASR 9) in a voyage back to Pearl Harbor, from the 12th to the 16th. She refitted eight submarines and accomplished voyage repairs on seven others between 15 November 1943 and 9 March 1944; then headed west once again. SPERRY's tour of duty at Majuro Atoll lasted from 15 March until 19 September. 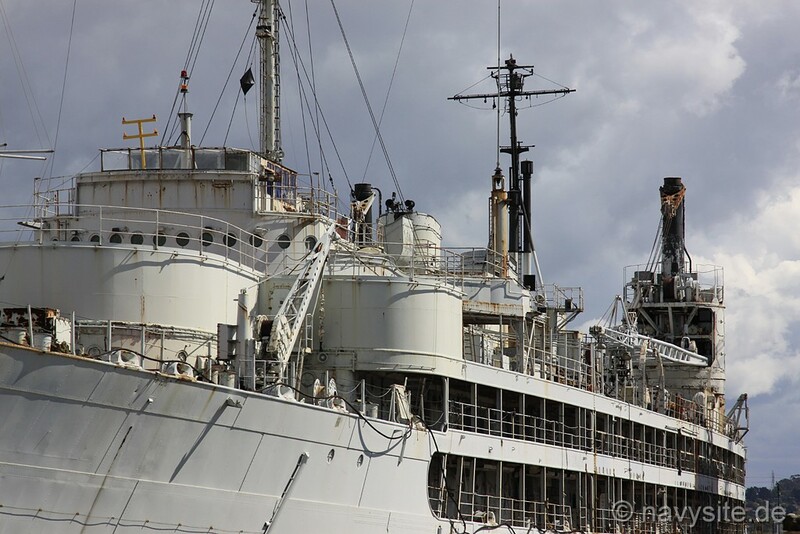 During her stay, the submarine tender accomplished 19 refits and two voyage repairs. In addition, her crew erected Camp Myrna, the first recuperation camp for submarine crews in the central Pacific area, on Myrna Island. On 19 September, she exited the lagoon with LITCHFIELD (DD 336) and headed for Pearl Harbor again. They reached Oahu on the 24th, but SPERRY was underway again by 8 October as part of an 11-ship convoy. At Eniwetok, she parted company with the convoy; and, with CORBESIER (DE 438), she continued on to the Marianas. 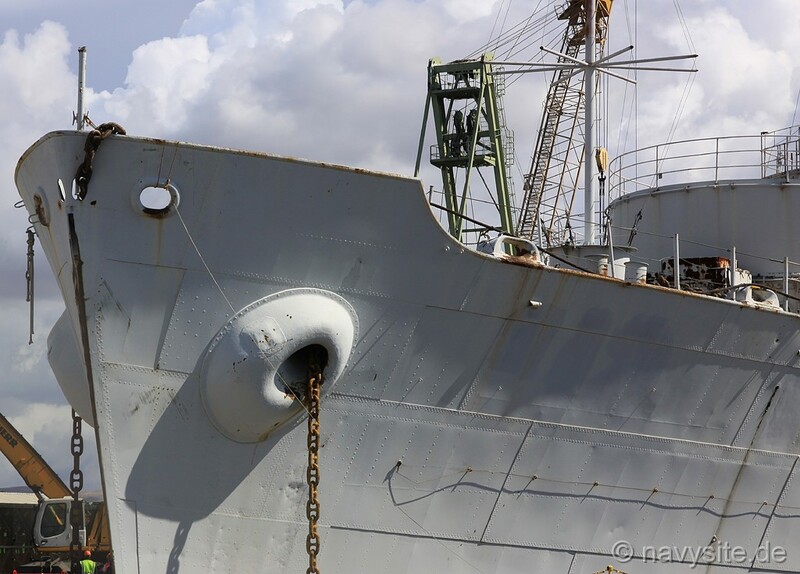 The two ships arrived at Guam on 20 October to begin a four-month tour of duty during which she serviced 20 boats, 14 for refit and six for voyage repairs. Again, her crew constructed a submarine recuperation facility, Camp Dealey. On 13 February 1945, SPERRY and SOUTHARD (DMS 10) departed Guam to return to the United States. 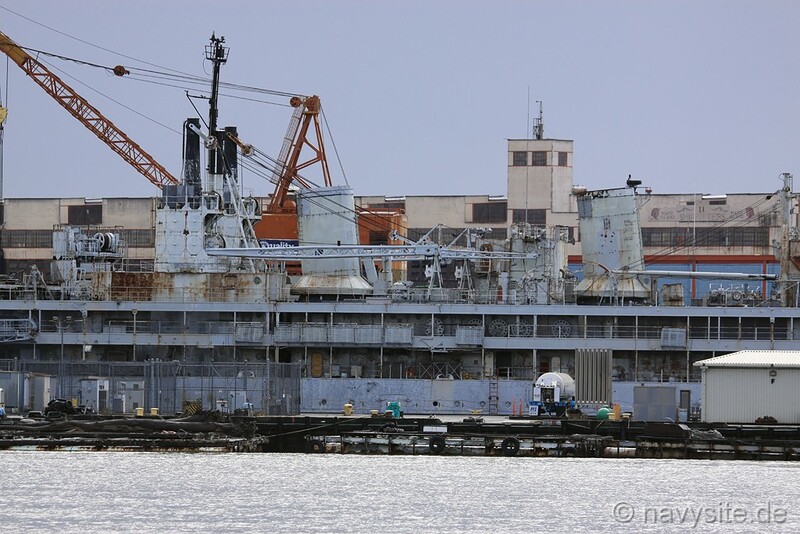 The two ships reached Pearl Harbor on 22 February. SOUTHARD remained at Pearl Harbor but SPERRY continued eastward on 1 March. 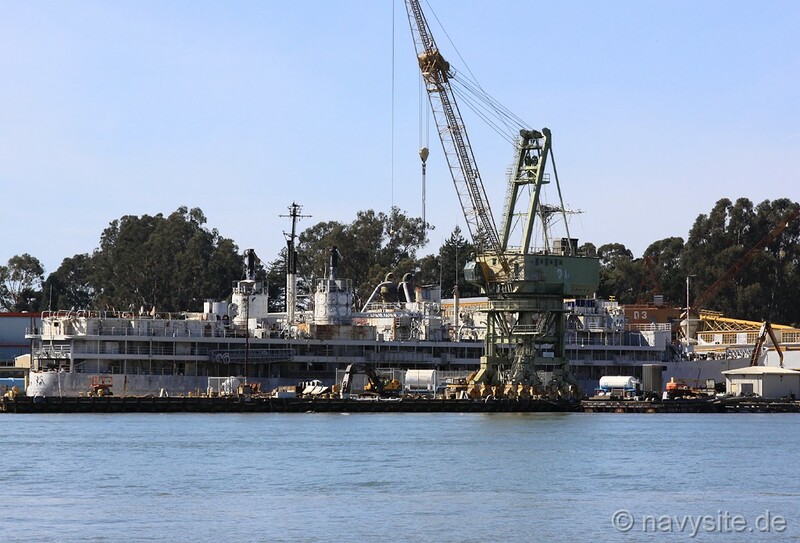 The submarine tender entered Mare Island Naval Shipyard on 7 March and commenced an overhaul which lasted until 30 April. 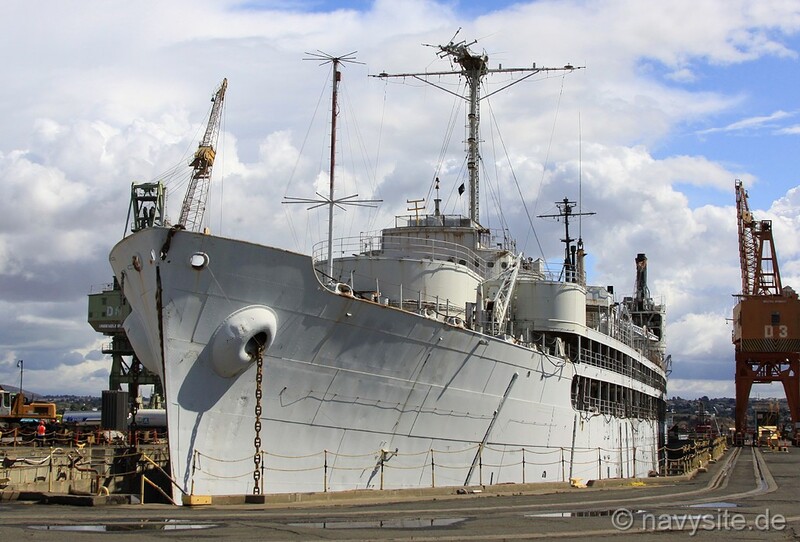 By 10 May, SPERRY was back at Pearl Harbor where she completed one refit and three voyage repairs before sailing on 30 June for the Marianas. 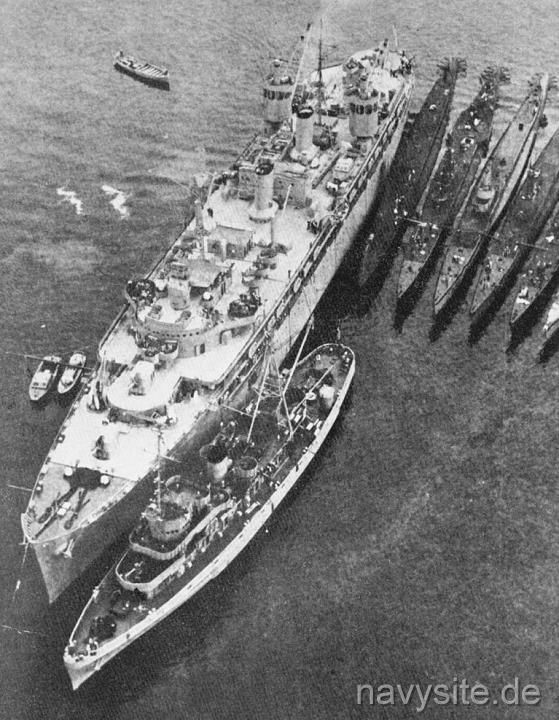 She was stationed at Guam from 11 July 1945 to 11 January 1946. 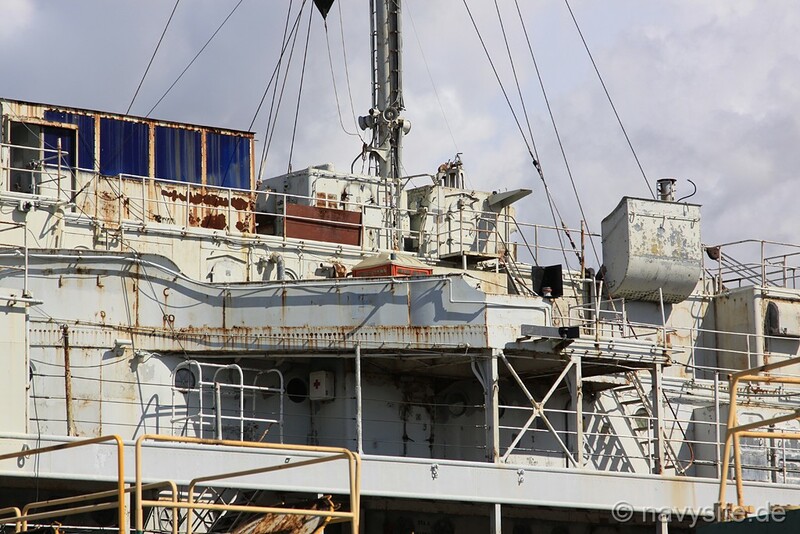 During those six months, her stay in the Marianas was interrupted only once, in late November and early December, when she joined BLENNY (SS 324), BLOWER (SS 325), BLUEBACK (SS 326), CHARR (SS 328), REDFISH (SS 395), SEA CAT (SS 399), and SEGUNDO (SS 398) in a training cruise. They visited Ulithi Atoll in the Carolines and Manus Island in the Admiralties before returning to Apra Harbor 10 days before Christmas. Eleven days into the new year, SPERRY weighed anchor at Apra and headed for Long Beach. 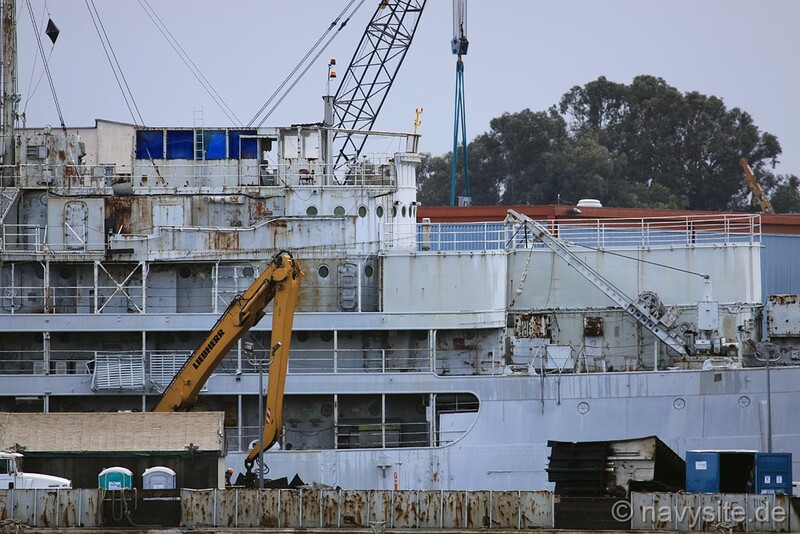 She arrived at Terminal Island on 20 February and began an extensive overhaul which was completed in July of 1947. 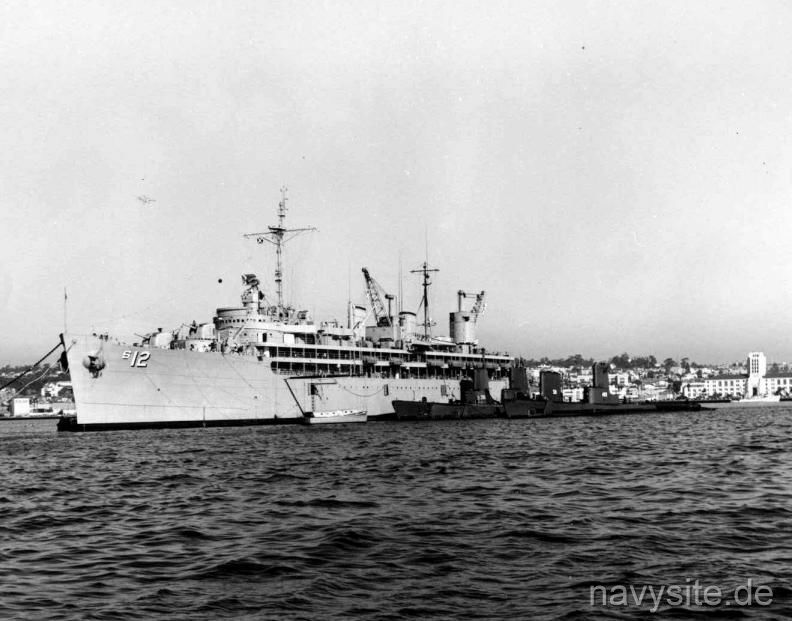 Unlike many of her sister ships, SPERRY remained an active unit of the fleet, operating out of San Diego. She earned the coveted battle efficiency �E� three years in a row in 1948, 1949, and 1950. In 1949, she participated in Operation �Miki,� a war game which simulated the recapture of an enemy-occupied Oahu; and, while returning to San Diego, she operated in support of the first publicized firings of missiles from submarines. Between 1950 and 1953, her pace was quickened by the hostilities in Korea as she serviced and supplied many of the submarines recommissioned for that conflict. 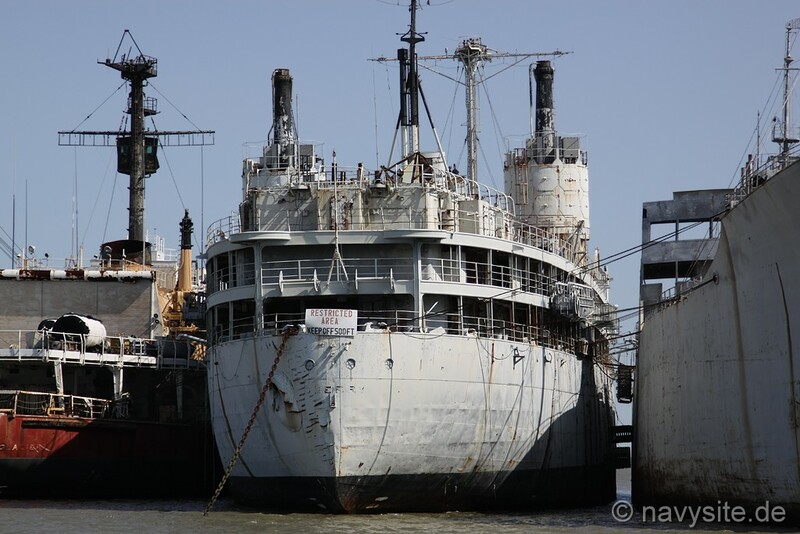 In 1952, she made her only voyage to the western Pacific. 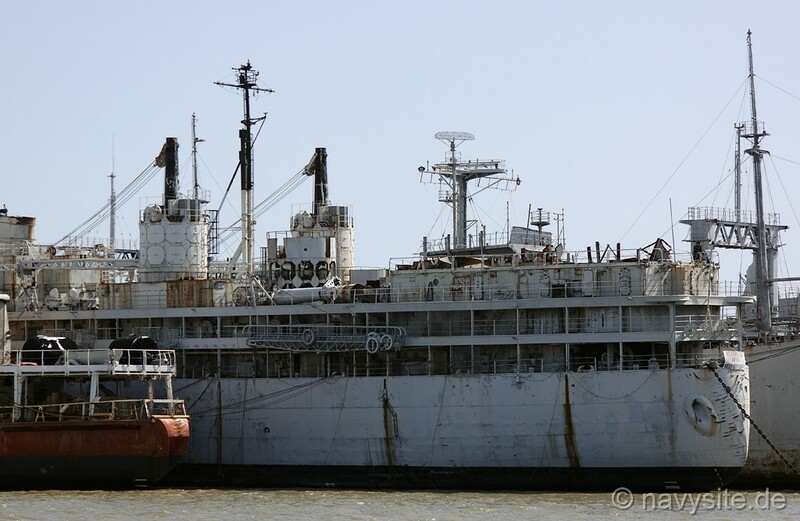 She sailed via Pearl Harbor, where she stayed from 6 August until 21 September, and served at Chi Chi Jima in the Benin Islands from 2 to 9 October. 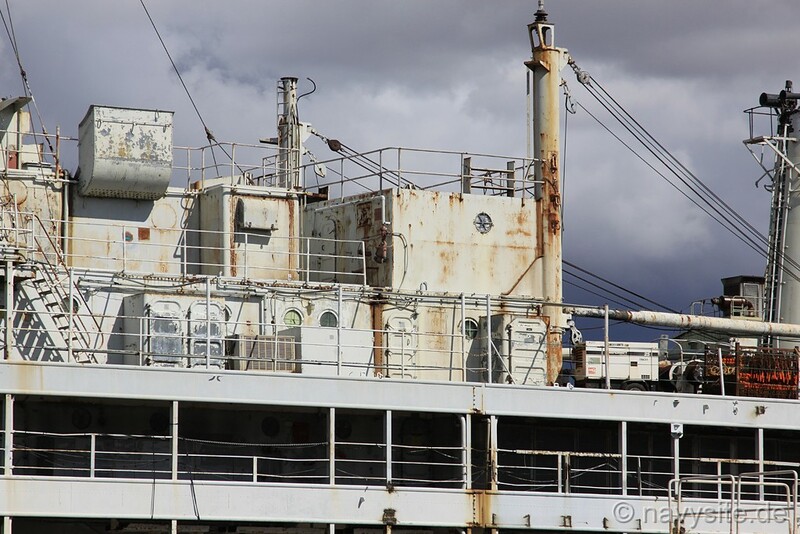 She returned to the west coast of the United States on 25 October. In December of 1951, the battle lines in Korea were more or less stabilized along the 38th parallel and hostilities were slowly lessened over the next two years. This resulted in a gradual return to peacetime routine for SPERRY. 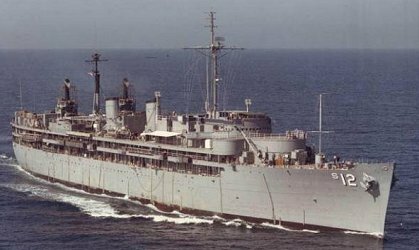 Over the ensuing 10 years, the submarine tender continued to operate out of San Diego, spending most of her time in port servicing the submarines of the fleet, but occasionally getting underway for training cruises along the west coast. Her area of operation extended from Mexico north to Canada. 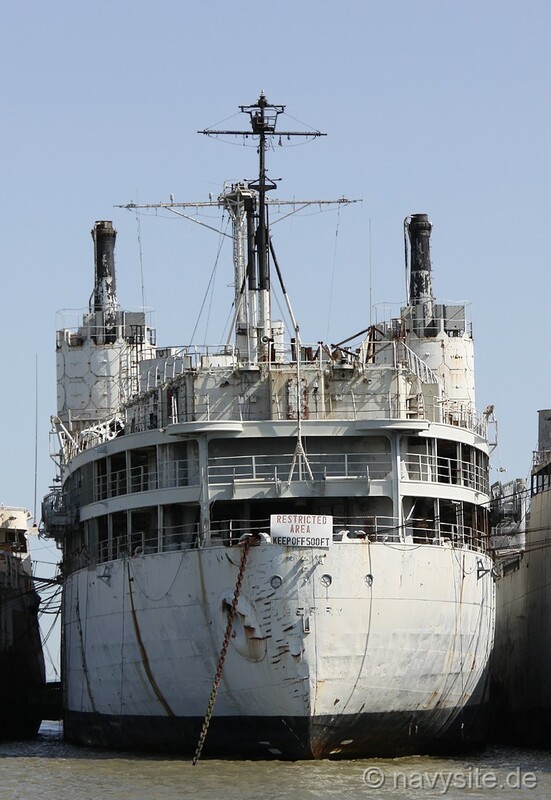 From April to September 1961, SPERRY was at Long Beach Naval Shipyard being brought up to date by a Fleet Rehabilitation and Modernization overhaul. 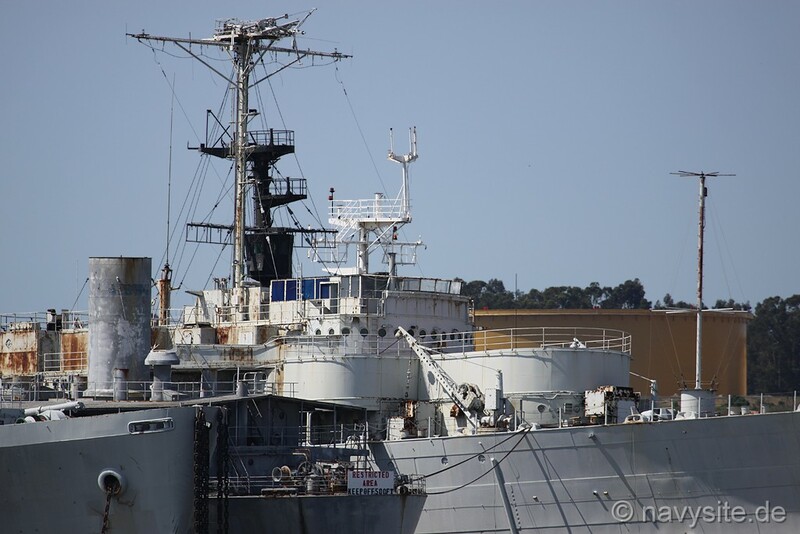 In mid-September, she returned to her duties as submarine tender at San Diego, though now with the capability to service ballistic missile submarines. 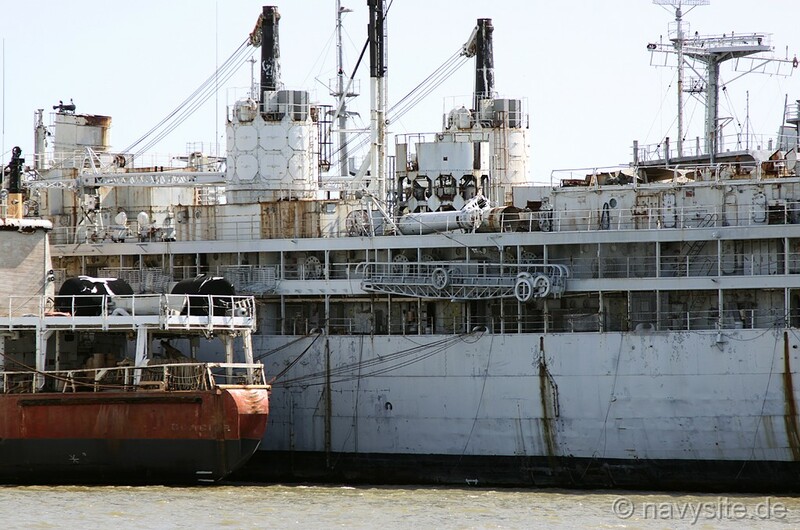 The submarine tender serviced submarines out of San Diego for another twenty years, until finally decommissioned there on 30 September 1982 and struck from the Navy list that same day. 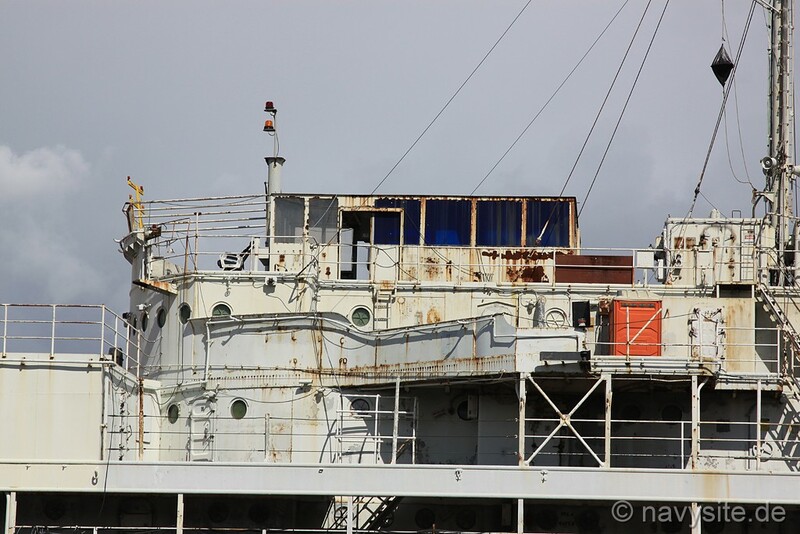 Transferred to the Maritime Administration on 1 February 1999, the old tender remains on historic hold for a possible museum ship transfer. 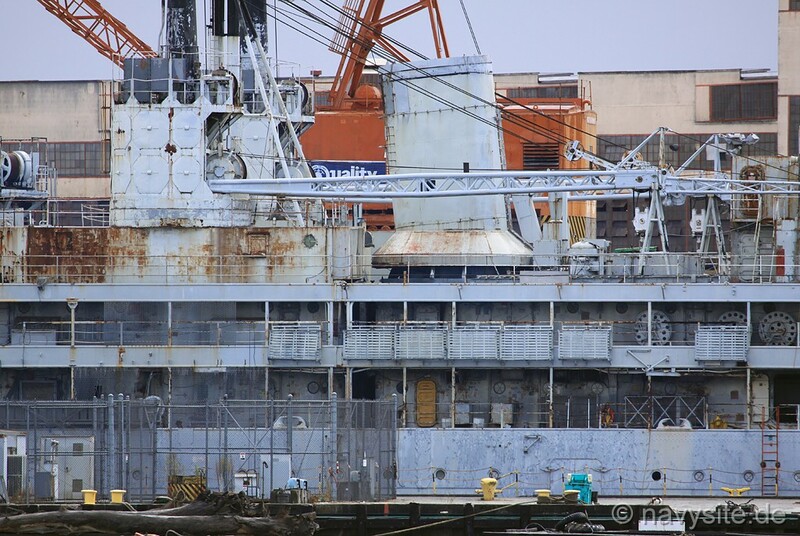 The photos below were taken by me and show the SPERRY laid-up at Suisun Bay, Calif., on March 27, 2010. 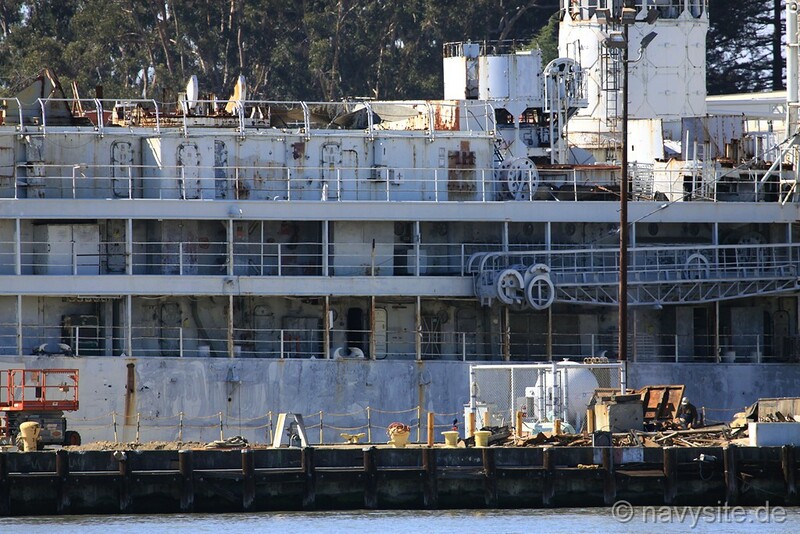 The photos below were taken by me and show the SPERRY in drydock at the former Mare Island Naval Shipyard, Vallejo, Calif., on October 6, 2011. 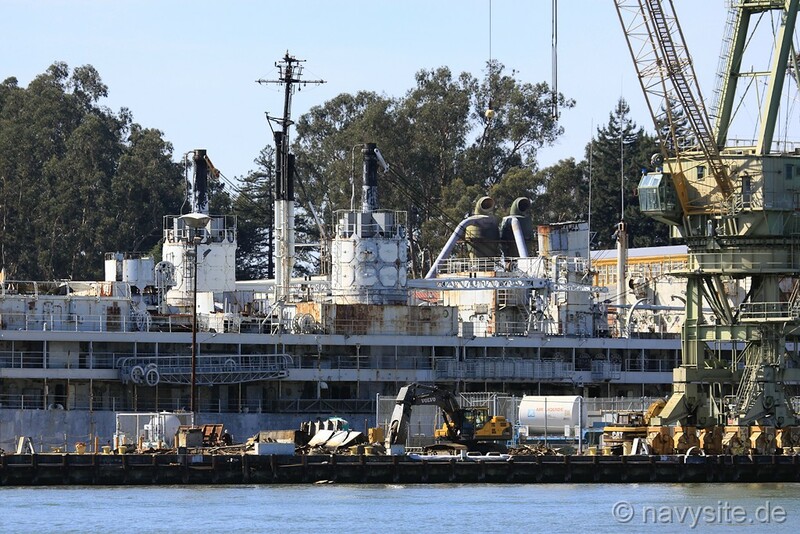 SPERRY was towed to Vallejo from the Suisun Bay mothball fleet in late September 2011 to be scrapped. 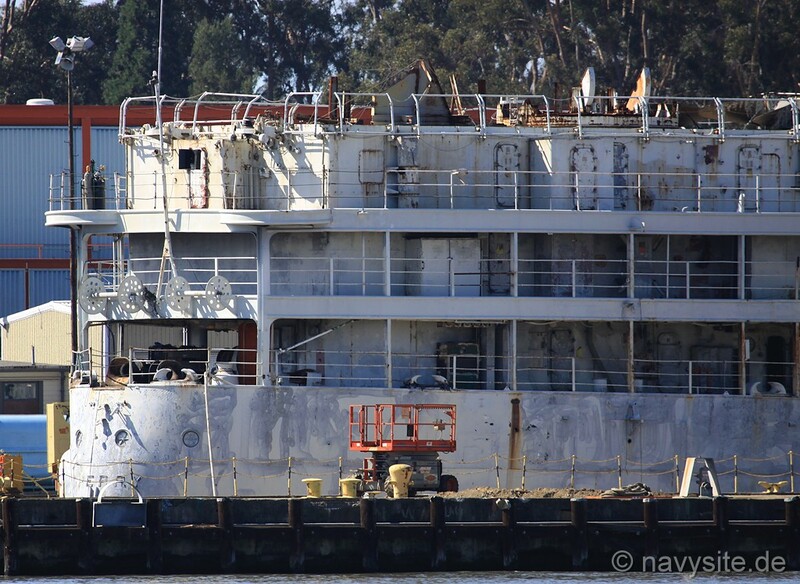 The photos below were taken by me and show the SPERRY being scrapped in drydock at the former Mare Island Naval Shipyard, Vallejo, Calif., on October 12, 2011.